Prior to joining ETH Zürich, he was a Professor of Psychological Studies at The Education University of Hong Kong (EduHK). Manu also worked as the Head of the Curriculum, Teaching and Learning Academic Group (CTL AG) as well as the Head of Learning Sciences Lab (LSL) at the National Institute of Education (NIE) of Singapore. An engineer by bachelors training, Manu was a pre-university mathematics teacher for five years before receiving his doctorate in instructional technology and media from Teachers College, Columbia University in New York, where he also completed a Master of Science in Applied Statistics.He also has a Master of Education from the NIE. Ministry of Education of Singapore to jumpstart research on interactive and digital media in education in Singapore. Manu conceptualized the notion of productive failure and has used it to explore the hidden efficacies in the seemingly failed efforts of small groups solving complex problems collaboratively in an online environment. 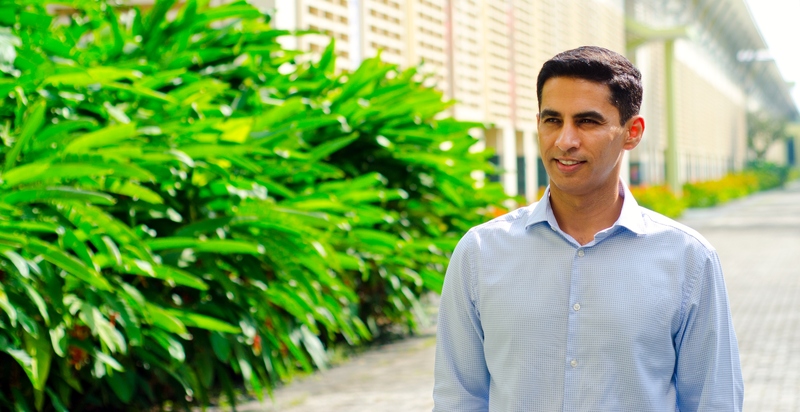 Manu has done extensive work in real-field ecologies of mathematics classrooms to extend his work on productive failure across a range of schools in Singapore. Manu’s research has attracted high profile media interest (e.g., TIME, The Australian, The Straits Times, The Times of India, The CONVERSATION, etc.) and approximately US$3m in funding in Singapore and internationally. He has been invited to present major keynote addresses around the world, and his work has been published in the top journals in the field. 2016- International advisory board member on the project Handbook of Research on Educational Communications and Technology,Association for Educational Communications and Technology (AECT). 2011-2014 International advisory board member on the project “Blended synchronicity: Uniting on-campus and distributed learners through media-rich real-time collaboration tools”. Funded by Australian Learning and Teaching Council (ALTC); lead institutions: Macquarie University, The University of Melbourne, and Charles Sturt University, Australia. 2011-2013 International expert panel member of “Learning Technologies and the Learning Sciences” network of the University of Sydney Research Networks Scheme, Australia. 2011-2013 International expert panel member on Pearson’s bid for PISA 2015 items on Assessments for 21st Century Skills. 2009-2011 International expert panel member on Assessment for 21st Century Skills project: An international, multi-agency, public-private sector project co-funded by Microsoft, CISCO, Intel, as well as the six co-founder countries, namely, Singapore, USA, UK, Finland, Australia, and Portugal. International Conference of the Learning Sciences, CSCL, American Educational Research Association Conference, Cognitive Science, etc. 2011– 2015 EduLab Evaluation Panel Member: A $25m fund that supports innovative projects in Singapore schools in collaboration with the universities and industry. 2009 Ministry of Education (MOE) of Singapore’s Propel-T Initiative Advisor: Learning technology research projects led by MOE officers in Singapore schools. 2006–2008 Ministry of Education (MOE) of Singapore’s Interactive and Digital Media R&D Evaluation Committee Member. 2007–2008 Assistant Director/Program Officer for Interactive & Digital Media R&D, Educational Technology Division, Ministry of Singapore: I directed a S$40m R&D funds to jumpstart research on interactive and digital media in education in Singapore. Chairperson of Ministry of Education (MOE) of Singapore’s Interactive and Digital Media R&D Evaluation Committee Member. 2001–2002 Deputy Leader of the Singapore International Mathematical Olympiad (IMO) National Team to the 43rd IMO in Glasgow, Scotland 2002. Ministry of Education (MOE), Singapore. All cookies placed by third parties. Session cookies store information that is used during the current browser session. They are automatically deleted after your browser is closed.